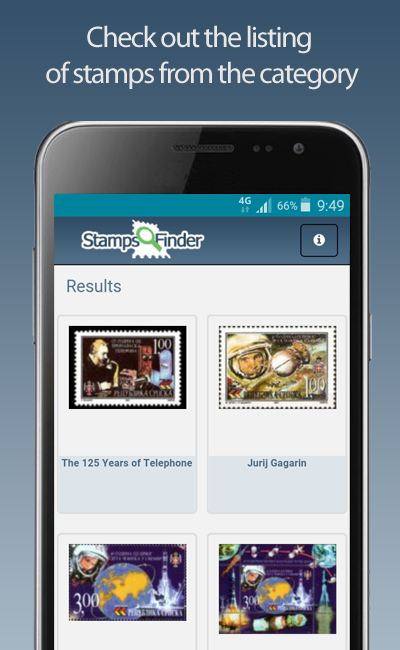 This is first version of Stamps Finder. 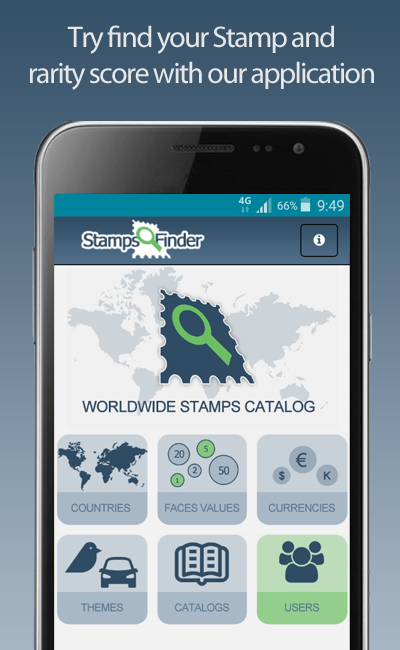 You can browse about 600000 postage stamps from 370 countries around the World. 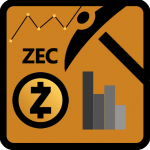 We know about many things to be fixed. Please, if you find any errors, mistakes etc, write us email before rating. 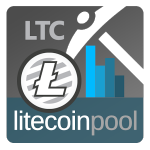 We are still working on this app. 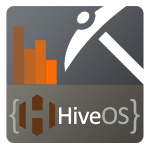 If you like it, please rate this app in store. Thanks a lot. 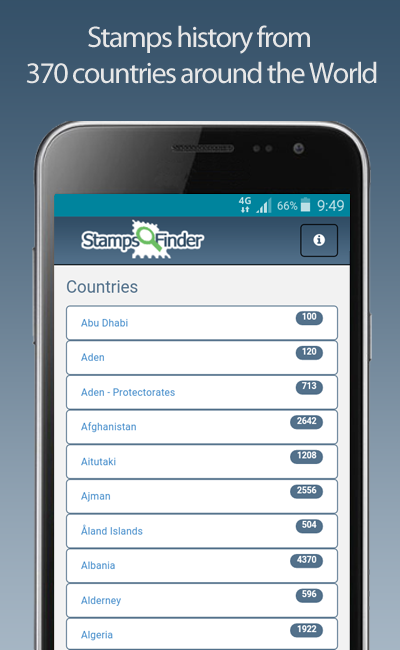 We made this mobile stamps catalog, because we are fan of Stamps too and our friends or kids want identify stamp which they found. 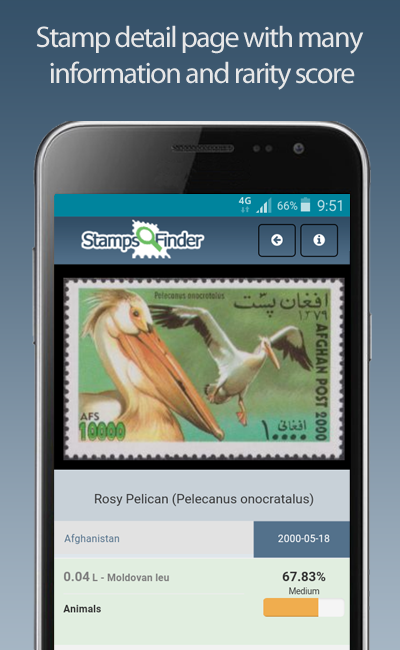 You needn’t be philatelist, but you can spend great time with stamps catalog and history of Stamps.